Buhay Komunista: Sine Proletaryo, the video production outfit of the Communist Party of the Philippines (CPP), presents “Buhay Komunista”, a 26-minute video feature, which highlights the various aspects of the life of selfless service of communists in the Philippines. The video feature is being released in celebration of the 45th anniversary of the CPP. Communist Party members, from CPP founding chair Prof. Jose Ma. Sison, to commanders, fighters and doctors of the New People’s Army (NPA), to officers of the people’s revolutionary committees and secretaries of local branches of the CPP in the rural base areas share their varied experiences in waging revolutionary struggle and building the people’s democratic power. 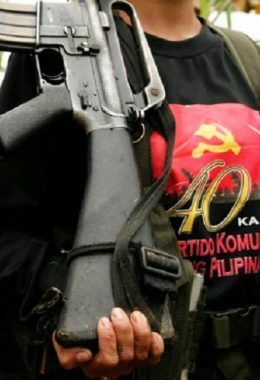 “Buhay Komunista” underscores the crucial importance of Marxism-Leninism-Maoism as the key element in building the Communist Party of the Philippines, guiding it in its responsibility to lead the entire Filipino people towards national and social liberation, as well as in guiding the daily work of CPP members, Red fighters and all revolutionary forces to serve the interests of the people. The video further shows the victories achieved by the people’s revolutionary movement under the guidance of the CPP in building a new system that serves the aspirations for social liberation of the exploited and oppressed. It shows how the people, empowered by their new democratic government, builds schools and clinics to address their most critical needs. The narrations in “Buhay Komunista” were done in Pilipino, Bicolano and Bisaya. Sine Proletaryo has released subtitles in Pilipino and English.